It will cost you nothing to dream. And everything not to. Find your wings. Located in the south region of France, formerly known as the Aquitaine region now known as Nouvelle-Aquitaine, in a remote area between Pau and Oloron-Sainte-Marie, at the foot of the Pyrenees mountain range, stands Le Chateau du petit lac des Cygnes. The Chateau is located not more than 100 kilometers from the Atlantic Ocean and roughly 50 kilometers from Spain as the crow flies. The winters are wet, mild, with occasional snowfalls. The summers are warm, mild, and much drier. 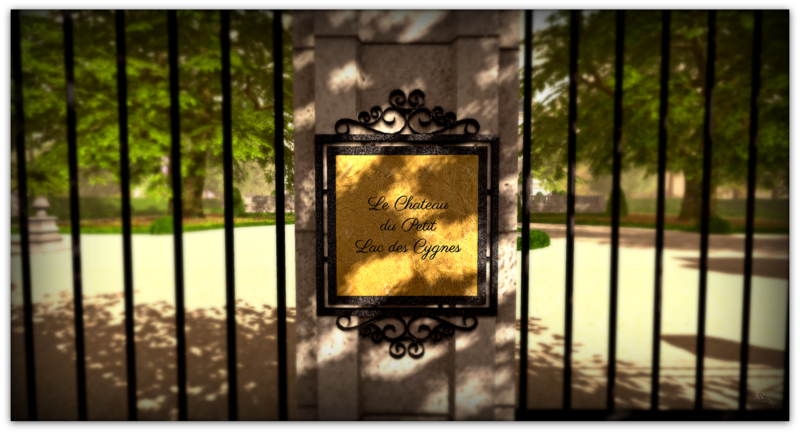 History of the chateau dates back as early as the late 1600’s, with the chateau as it now stands completed around 1705. The family, with ties to the royal court, preferred a quiet life in the countryside rather than the strict regimen at Versailles. It was during the French Revolution that the much-loved family, protected by the village inhabitants, journeyed over the Pyrenees into Spain, then gained passage to the young United States of America, thereby escaping the blade of the guillotine. The family blossomed in the new country and their life in France was but a memory passed down through generations that followed. Centuries passed, the Chateau grew quiet, eventually fell into disrepair, and soon was all but forgotten. About 3 weeks ago I moved Le Lac Des Cygnes from a homestead to a full region. While I am nowhere ready to reopen I thought to give somewhat of a teaser. The storyline is a work in progress and the above paragraphs are the fruits of my labors, or better yet of many, many, many edits. More to follow…soonish. fantastic beginning!! You got me!